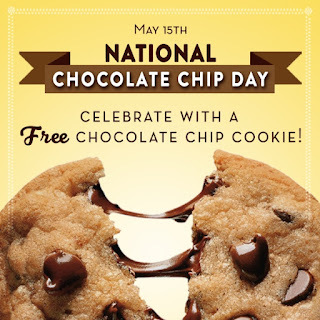 Heads Up: May 15th is National Chocolate Chip Day and you can receive a FREE Cookie at Nestle Toll House locations! 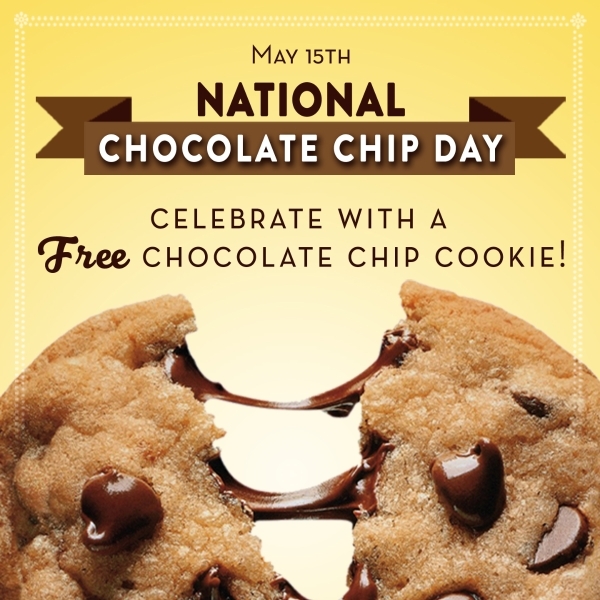 You can stop by at participating locations only on 5/15 to receive a FREE Chocolate Chip Cookie. One per customer. Valid 05/15/17 only.